Welcome to the ski area Dachstein West, Salzkammergut! 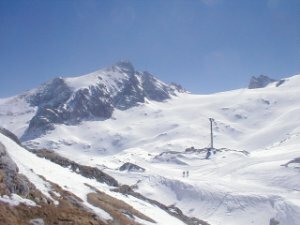 Skiing tours: in powder snow: on Dachstein-Krippenstein in over 2500 meter elevation. Beautiful trails: the most beautiful cross-country trails in the valley and numerous high elevation trails on Predigstuhl. Runs: World Cup bobsled run, family toboggan run and sledding with"Huettengaudi" (fun in the ski hut ) in the evening. 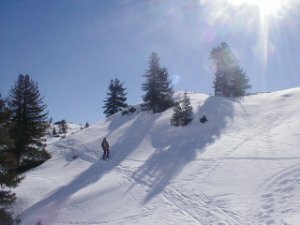 Ski lessons: beginners, childrens, cross-country, ski jumping and snowboard lessons. Winter walks: for those who prefer to enjoy a quiet winter holiday. 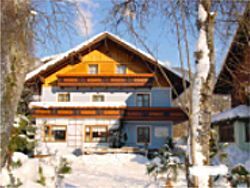 Our family and children friendly breakfast pension is located about 3 walking minutes away from the center of Bad Goisern. You will feel comfortable in the cosy rooms with shower, WC, furnished balcony, telephone and satellite TV. Have some pleasant evenings together with your friends in our guest lounge or in one of our flats for 2-8 persons. It doesn't matter if you are planning a walk to the center of town or into the snowy countryside, if you want to visit a restaurant or go shopping, you will be there in 5 minutes. After cross-country skiing, downhill skiing or snowboarding, we recommend taking a walk to one of our toboggan runs or relaxing in your room. The kids will have enough room to play in the garden. See you soon, your Family Sydler! It would be a pleasure for us to welcome you at our house soon .